Spidi is a community of riders, technicians, tannery masters, designers and professional riders that, for more than 30 years, every day, shared informations, sensations and feedbacks to get a product on top of technology and meeting the latest standards in the field of safety and comfort; all this without ever sacrificing the style that distinguishes SPIDI.  This is us, this is the MOTORSPORT LIFESTYLE COMMUNITY. Flanked by SPIDI's artisan experience and inspired by your taste, you'll be able to create a unique and unrepeatable suit. Riders for passion, we pour our experience in each of our products. By creating your own CUSTOM SUIT you'll become the protagonist of the MOTORSPORT LIFESTYLE COMMUNITY. Send us your measurements and our technicians will elaborate them to get a fit like never before. What is a CUSTOM SUIT? The best materials, the best technology currently available and the best craftsmanship with a tailored fit. Choose from the best materials, selected and cuttet by artisans with over 30 years of history in the treatment of hides, elaborated in the leader tannery district of Europe; an icon of "Made in Italy". We are the pioneers of the motorcycle glove, the most difficult leather riding garment to build, and from this experience were born technologically innovative solutions that are implemented in all of our products. Thanks to the experience in the racing world and the "in-house" SAFETY LAB, SPIDI submit all its products to important tests, which are a fundamental research on comfort and safety. Your safety is our mission.